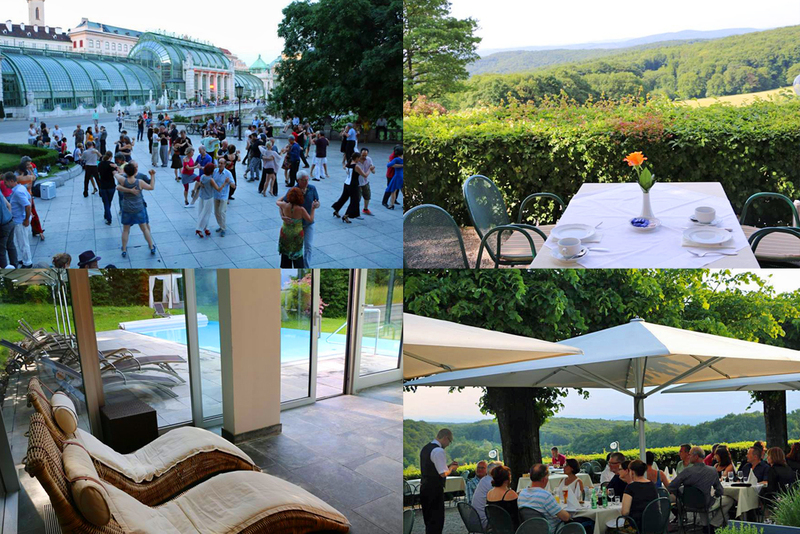 In the beautiful Wienerwald near Vienna is situated a luxurious silence-hotel. We chose this hotel because of the scenery, the spacy rooms, the environment, wellness, heated outdoor swimming pool and of course the perfect dance hall with view over the valleys. At 20 minutes driving distance from Schönbrunn Palace. On Saturday we organise an excursion to Vienna, where we also go out to a local milonga. Location seminar & salons: classes and milongas take place in the beautiful panorama-dance room of the hotel. Saturday milonga in Vienna. Tango programme: € 250 p.p. (incl 21% VAT). Hotelrooms will be divided in order of registration. 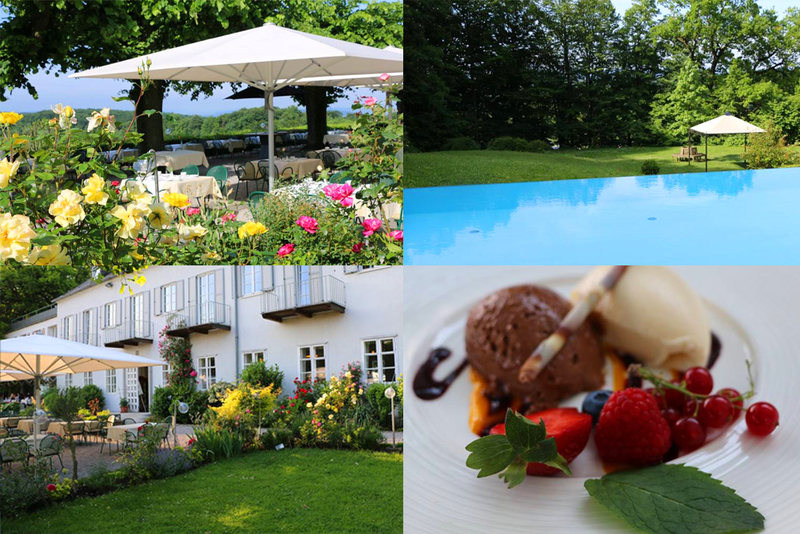 Hotel: Four star Relais du Silence Berghotel Tulbinger Kogel, € 82 p.p. per night, breakfast included (four nights). Fourstar hotel in Biosphärenpark Wienderwald, with big hotelrooms, wellness, sauna, heated panorama-swimming pool, terrace. At 18 minutes driving distance from Schönbrunn Palace. We give the name of the hotel upon request. The program in general is as follows: every morning two hours tangoclasses, every night after dinner one hour of tangoclasses, and than milonga. Lots of time to enjoy the surroundings, relax in the wellness or at the swimming pool, or visit the beautiful city of Vienna. The milongas in Thursday, Friday and Sunday take place in the wonderful dance hall of the hotel. Saturday night we dance at the Open Air Milonga in Vienna! Moment of the lecture(s) is decided in consultation with the group. Your teachers this weekend are Mariano y Cosima Díaz Campos. Mariano was born in Buenos Aires, and raised in a tango family. He transmits the cultural heritage from a family of tangodancers. His grandfather used to organize milongas in his home town, his mother was the pioneer of tango in Holland, and passed the legacy to her son. Mariano & Cosima met in 2001, and trained intensively in Buenos Aires with reknowned maestros. Their style is classical and Argentine. Cosima brought to the couple and to the teaching her experience in music in general and in tango music in particular (she studied Argentine Tango violin in Rotterdam in 1996-1997), and her knowledge in healthy movements and postures (she graduated as an excercise-therapist in 2001, and as a physiotherapist in 2004). quality of movement, connection and musicality. You can also fill in our online registration form.